ROAD TOWN, Tortola, VI – Bishop John I. Cline of the New Life Baptist Church expressed the belief that attitudes such as arrogance and a false sense of pride will cripple Virgin Islanders and have already contributed negatively to the way customer service is viewed overall on a local level. “I think in our society, we have two prevailing attitudes that are going to cripple us if we don’t see it, one is arrogance. 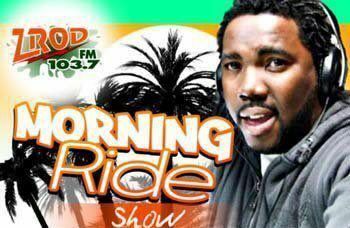 We tend to be a very arrogant people because we think that we are a prosperous nation and because we have a little money we have the tendency to look down on people, especially people from the Caribbean,” Bishop Cline said while speaking on the Morning Ride Show on ZRod FM with host Paul 'Gadiethz' Peart today, October 15, 2013. Bishop Cline also related that there was a false sense of pride among Virgin Islanders as if “we are the centre of the universe and the Caribbean, and we are not”. 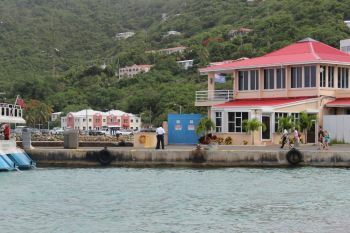 “Customer service is one of the poorest in the BVI that I’ve ever seen in the Caribbean and I’m a BVIslander,” the Bishop said. According to Bishop Cline, there are a lot of places that have sun and sand similar to the Virgin Islands (VI), but the thing that keeps visitors coming back is the greeting and service they receive and this needed to be upgraded. “If our leaders do not understand what they are working to do and impress upon our gatekeepers the importance of doing that, then we’re going to have big problems,” he said. 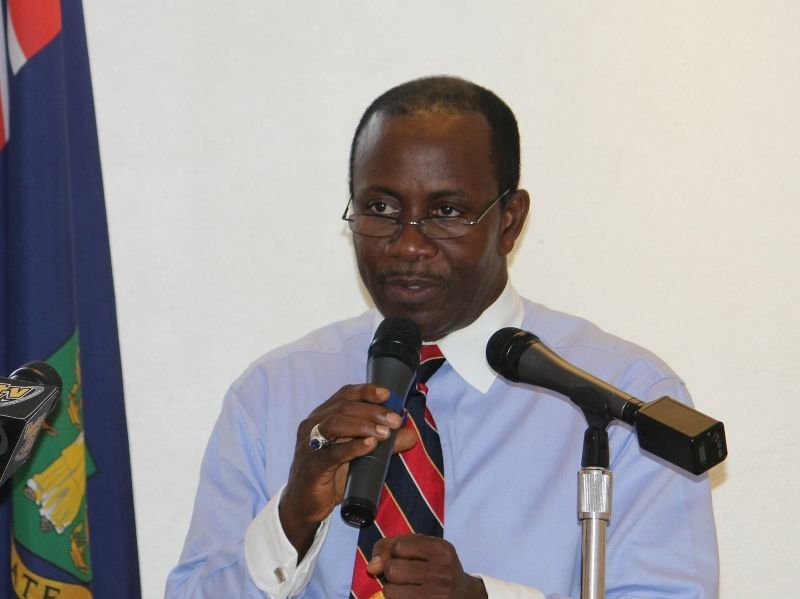 He suggested that persons will no longer come to the VI voluntarily, but will instead come out of a need. Asked why he was only stepping forward now when an immigration issue had affected him directly, Cline stated that he didn’t feel that “each one of us jumps up at the first instance and reports a problem”. “I think the reason why it was now for me was because it was concentrated – one weekend, three ports and complaints from all of those ports and that is what got me going but I have heard about officers being rude to visitors and guests many times,” Bishop Cline said. He added that the Premier’s Office has been receiving complaints for years and expressed he had a meeting with the Premier’s Office and walked away pleased to see some of the things that they are doing to fix some of the problems that are being faced at immigration. Bishop Cline further related that he had spoken to politicians privately on several occasions and noted that his concerns expressed through the media were done as a last resort. Bishop Cline reflected on incidents where persons entered the territory and were given one or two days to leave because they were there for a one-day event. He related that the persons decided to go to St Maarten to spend the additional time and money that they could have otherwise spent in the Virgin Islands. “It seems like there is no reason or rhyme or understanding on the part of some immigration officers as to why people come here and what their contribution is to coming here,” the Bishop said. “What does it mean when they come here? They circulate money in the economy so we cannot afford to be rude to our guests. Do your job; make sure that they are following the right procedures; make sure the forms are filled out right; make sure the suspect ones are interviewed and ask whatever questions… you don’t’ have to be rude when you do it. That’s my point,” he advised. "It's time for BVIslanders to take their head out of the sand, wake up and understand what is required to build a nation and we have a nation to build and we cannot build it... I'm not going to build a nation by tearing down my people, but if I see a problem I need to speak to that problem because you cannot fix a problem by ignoring it and that is what a lot of people want to do," he said. Bishop, i am not a fan of yours, but i agree with you a 100% on this one. those immigration officers need to know how important their role is, as you said there are many other countries with sea and sand, so they dont have to come here, but if thats the welcome they cant at first entrance, trust me, they will not return and they will tell friends and family about it, thos officers might not give a dam because they will surely get their salary anyway, so its up to the government to educate these uneducated immigration officers as to what customer service is all about and the importance of it. Some of you may not like my Bishop but truth be told, his article was on point! I too am a BVIslander and am embarrassed at our level of customer service as a country. Walking around with our fancy hairdos and bags more expensive than a weeks pay. Running Rock to buy the latest polo gear and Gucci belt. What happens if u get layed off? When the tourists go else where to spend their money? When they write bad blogs on us and encourage their family and friends to stay away? It is said we shouldn't bite the hand that feeds us. Can the BVI sustain itself? We don't manufacture anything! We depend on other sources/countries for food, oil etc. We all need a wake up call an get off our high horses. Bash my Bishop all you want but be careful one day you end up in his office crying for help. Just saying! I KNOW the Bible teaches something about Pride being a problem and coming before a "Fall" as i remember it PREACHED but it that is Not true unfortunately God said it not satan but of course he wants many to go his same way PROUDLY. God said in Proverbs 16:18 Pride goes before DESTRUCTION, And a haughty spirit before a fall. BUT Who are You going to believe These days ???? I don't think customer service can be taught because it is from the heart that people feel it and believe it but LAWS can be taught and memorized. There are Many human beings that have love in their hearts (for more than themselves). It would be a BIG help if a potential visitor to the BVI could see a printable List of Who are allowed to enter the BVI without a Visa (or as who is not) BEFORE they waste any money getting to the final judgment call at BVI Immigration OR their first test (the airline boarding pass counter personnel). Liat has sent a friend of mine from Africa back to Africa as a CRIMAL under restraint of movement on his flight back because he was Caught by Liat Trying to enter the BVI via a previously booked LIAT flight from St Maartin! LIAT takes Money willingly BEFORE they ask any questions and it helps their bottom line a Great deal. The African country whose passport he held WAS in fact allowed in WITHOUT a Visa but NOT by LIAT who said they would be FINED by BVI Immigration if they allowed ANY AFRICAN to board their flights for the BVI without a BVI Visa in their passport. Dancia told me it happened to her husband's friends from Ghana in St Maartin by Liat Also ! It is actually COMMON if they do not have some employment related paper work to show. My Indian friend tried to enter the BVI a month ago and was told by the immigration officer that he could not enter on an Indian Passport without a Visa ! BUT the immigration officer told him he would let him in BECAUSE he had a "Green Card" !!!!! Incredible to hear this second LIE. 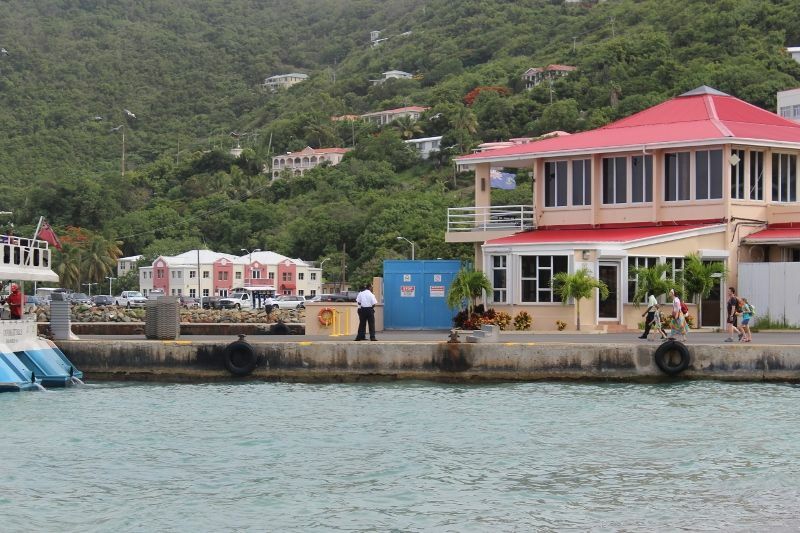 BUT that was Not enough for this officer, he went on to say in response to my friend saying "but two Indian guests who I invited here are coming latter this week for private meetings here in the BVI" and the officer said "IF they get off that ferry, they will be DEPORTED and go Back on that same ferry"!!! My guess is he is a Very New officer IF he thinks Immigration can get ANY visitor back on the same ferry before it departs again. I could not explain to my friend, who asked me IF the BVI could "DEPORT" people who have not entered the BVI YET?? He foolishly thought Deportation was only done to persons who have entered a country, he asked Why the officer would not "Deny ENTRY" rather than wait to deport the visitor for the sake of the visitors records showing that offense! My friend who is not a first time traveler was trying to set up the BVI as a place for High Level Indian politicians to come for very private meetings without being known "who they were" attending and I told my Friend The BVI is the Perfect place because the country doesn't pay attention to ANY visitor !! Unfortunately the money they would have spent in the BVI got changed to Dubai (half way between my Indian friends home in his green card country and India) and the BVI does NOT have to worry about Indians of ANY level wanting to come in for ANY reason anymore. It was the #2 and the #3 political party heads who were given the message from the BVI Immigration officer!!!! And my friend was able to show them the BVI "Caste System" at work and the results of it on the economy since this will be a BIG issue in the coming Indian Elections LIKE it always is in the BVI. oh lord is he running? Ignorance is a boss. Of all the problems we are facing, you are wondering if he is running?? We have some damn serious issues, which need to be dealt with. Tourism is one of our main pillars and the day we lose it, you, or someone you know will be affected. In fact we will all be affected. Officers need to have continuous customer service training. I am advocating it for all departments/businesses that have to deal with persons on a daily basis. We are all humans at the end of the day, and have personal issues that may follow us to our jobs, but there is a professional way to handle it. We cannot treat visitors to our shores like scum. Immigration has to do their jobs, and I whole heartedly support their efforts. However there is a right way to handle matters without appearing like a brute! On another note, I want to know what Immigration is doing in terms of monitoring those visitors that come to our shores and dont leave when their time has expired? I want to know how many kids came to visit the BVI for the summer and are still in the country? I want to know about those persons on work permits who have committed crimes and what we are doing about them being deported? What is the deal exactly?? I am no fan of yours but you have hit the nail on the head. We have a LONG way to go with regard to customer service. As sitting Chairman of the HSA, why is his computer company the ONLY one supplying the hospital with computer equipment and photocopier machines?! I am BVIslander and I applaud you Bishop for speaking out so publicly against the way persons are treated here at Home when it comes to receiving excellent Customer Service. I have always felt that Customer Service Training is something that is greatly lacking here in our Territory. I apologize for the treatment received by our Immigration Officers, but if truth be told as I said good customer service is needed. Up to last week I was saying how a lot of persons here that is in the Tourist Industry has no idea about customer service. And some of our own people don't fully understand what a great impact providing excellent customer service can have on improving our economy. Truth be told again, it is not just our people in some of these positions. It's expats as well. As far as I'm concerned Customer Service Training needs to be "across" the Board for everyone. Again, I applaud you! nothing and no where is worse then the Liat Staff at the Antigua airport. Our country has a way to go before we sink so low! what ae the solution Cline???? @mesayso: True Dat! We the locals are being treated like this every dam day, from government to private sectors and now all of a sudden because his ppl didn't just walk through immigration without questions being asked he vex. Tell he preach on that!!! This is my first time contributing to a blog but I find it hard to resist this one. This has been a concern of mine for years. The BVI cannot sustain itself and our people are destroying what used to be a friendly and respectful paradise by our rude and unprofessional attitudes. As a BVIslander I totally agree with the Bishop's comment. As a whole we are very arrogant and ignorant people who and think the world us something. We need to wake up and realize that the world is global and we depend on each other for survival. If we do not change our attitudes and be respectful of all people and provide services with dignity we are certain to suffer the consequences. Wake up, be respectful, and show that we have some dignity. I know there are some who will respond with disrespect to this blog but is just confirm your arrogance, ignorance, and refusal to grow. I won't disrespect you for what you wrote. Believe me I am normally no fan of Bishop Cline but he is right, and you are right. These islands are sinking because of the perfect cocktail of ignorance mixed with arrogance. You want a tourist industry but you hate tourists? You want their money but so many of the people on these blogs seem to hate white people? You want them to clean your toilets but you hate Jamaicans/Vincy/Trinny etc etc? You get what you deserve, man. If we go down is because we deserve to. So much head stuck up our own rear end about who doing us wrong, who taking ting from we, who owe us this and all the while you see Jamaican tradesman working hard, Vincy laborer laboring, Spanish trying to make money to send home, and what are we doing? Sitting in the A/C sucking teeth at everybody! Even our own kind! Is a sickness and I hope find a cure soon because otherwise we'll suffer for real. 70% of the workforce is expats and more than half of that percentage work in the service industry sooooooooooo! Stupid, who expat working immigration and customs ..
"Bishop Cline also related that there was a false sense of pride among Virgin Islanders as if “we are the centre of the universe and the Caribbean, and we are not”. WHo is WE??? Why every caribbean island is represented here in the VI? Must be the center of something. Sell out. This is specifically for the person calling his or herself "Real TalK" in reference to us Locals being treated this way daily. You know after I read your comment, I felt so infuriated in that some persons' ignorance to this day still amazes me. Instead of you standing up for what is right and wishing that our people could improve ourselves, you prefer to bash Bishop Cline. You really think he has time to study comments you say about him. I am quite sure that you cannot stand in the man shoes. You need to shut the hell up and stop being stupid embarassing yourself and making persons think that perhaps all Tolians are as ignorant as you are. Be proactive and try addressing the issue at hand and stop personally attacking the man. Let me first congratulate your editor and reliable staff for publishing this story,and to allow freedom to reign in this free and democratic country bvi,where persons can blogg and express themselves without insults and disrespect to others. ,under the color of good intention. Immigration officers are now being trained to look out for possible terrorists and other Criminals who may be entering the BVI. While they should appear friendly,they must question persons who are visiting the BVI. The laws,policies and rules,do not require an Immigration officer to question a person who belongs to the BVI and may be travelling on a BVI passport or belonger card,but if the Immigration choses to question a visitor at length;the officer will be acting lawfully,in accordance with the law. In my view,customer service is something personal.It does not matter what training a person received in this area of work;at the end of the day,if the person has a bad attitude,he/she will display that bad attitude on the job. May be in the past,our Immigration displayed some kind of bad customer service to some visitors by profiling caribbean nationals; but over the years,I have seen the improvement each time I travel in and out of the BVI. You don't hear of Immigration refusing persons to land,on the the basis of a discriminatory profiling of such person. So generally,I agree with the bishop on the topic of good customer service; but if it's because of the incidents involving his guests,that's why he has become so vocal suddenly,I think he is not being fair with the hard working men and women of Her Majesty's Immigration,who are there to protect the ports of entries in the BVI. Give the officers a break! Let them enforce the law!That's what happens every where in the world. Tourists want to see that countries are serious about their protection:Immigration must question visitors and customs must search for contraband.That is the world we are living in today! With goodness in my heart for the people of the BVI I can only continue to pray and say, long live the BVI and its wonderful people.